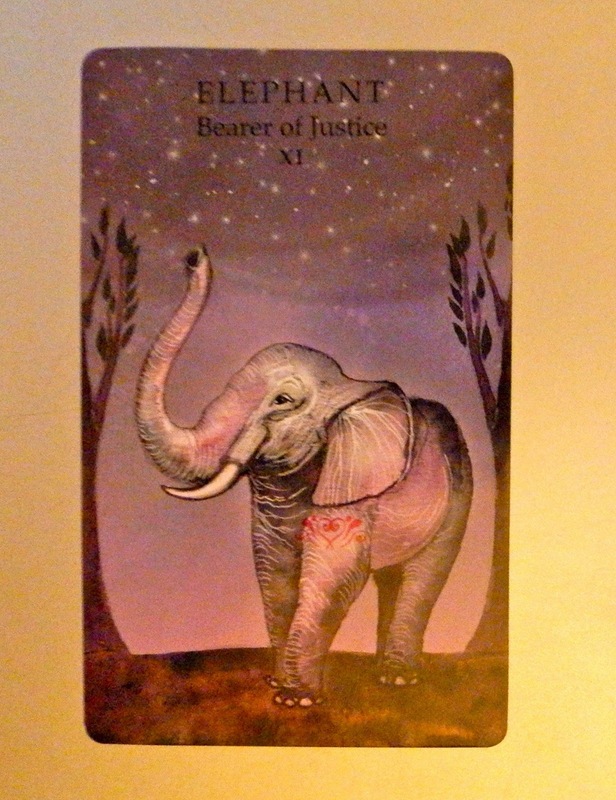 Weekend Reading: Elephant, Bearer of Justice from the Animal Wisdom Tarot. The guidebook for this deck points out something interesting. 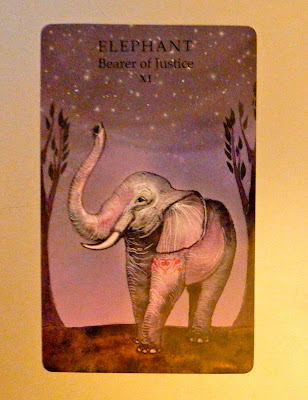 Justice, being at the center of the Major Arcana, shifts us from the physical world into the spiritual. And it advises us to do what is right and that which is a true reflection of ourselves. So this weekend do just that. And if you find yourself doing something you'd rather not admit is a true reflection of yourself, note that. Sometimes we find ourselves caught in outdated patterns that reflect a part of ourselves we've been working to leave behind. And sometimes we just don't realize what our actions say about us. So be a conscious observer this weekend. And if you find yourself doing something you'd be ashamed to say reflects your true being, make a different choice. Choose to live your higher truth.